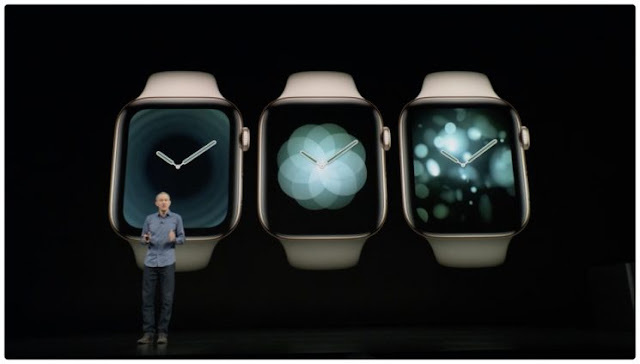 Well the event has just started and the first thing we knew is that Apple introduced the fourth generation of Apple Watch and as we said it comes in 40mm and 44mm sizes. 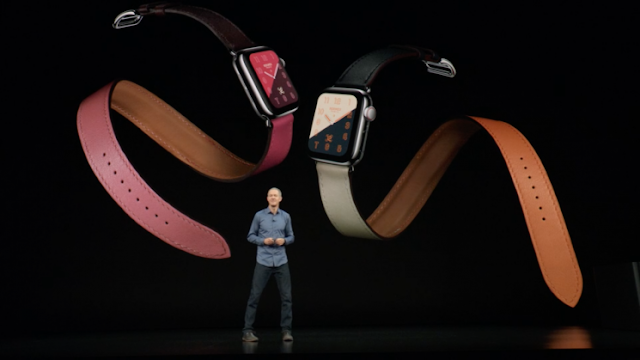 Also the new Apple Watch is packed with new watch faces. The new Apple Watch includes a new watch face, like the one previously rumored that includes nine complications. There’s also a revised Modular watch face. Additionally, the Breathe app is now available as three separate watch faces. When using these, you simply raise your wrist to begin a breathing session. The Breathe faces are called fire, water, and vapor. Apple COO Jeff Williams is on stage right now at the company’s big Gather Round event talking about the new Apple Watch. Among the wearable’s new features is the ability to detect if the person wearing it has fallen, and if need be connect them to emergency services. 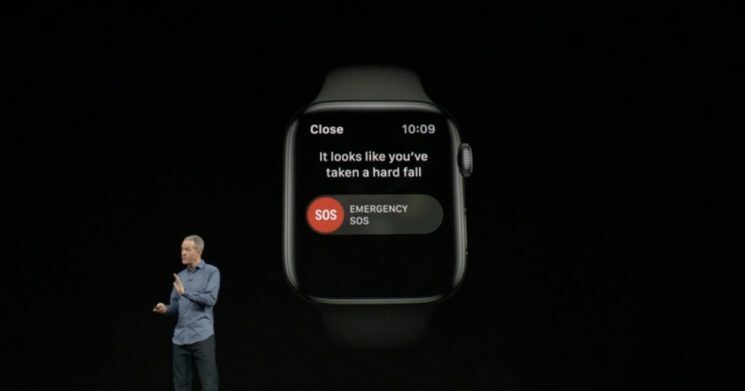 As Williams explains it, once the Watch has detected a fall, the user will be prompted with a screen that allows them to immediately contact the authorities. If no action is taken, the Watch will automatically notify emergency services, as well as the user’s emergency contacts. 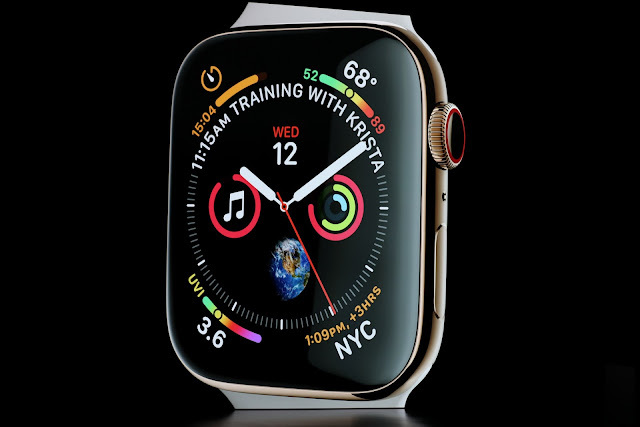 I know there are already products out there that offer a similar function, but built into a connected device like the Apple Watch is a game-changer. There is a clear focus on fitness and health with the new Watch, which also includes a built-in, FDA-approved ECG monitor. Tim Cook and his lieutenants took the stage at the Steve Jobs Theater on the new Apple Park headquarters today to reveal a bunch of new products, among them a new fourth-generation watch with a slimmer appearance and a larger display. 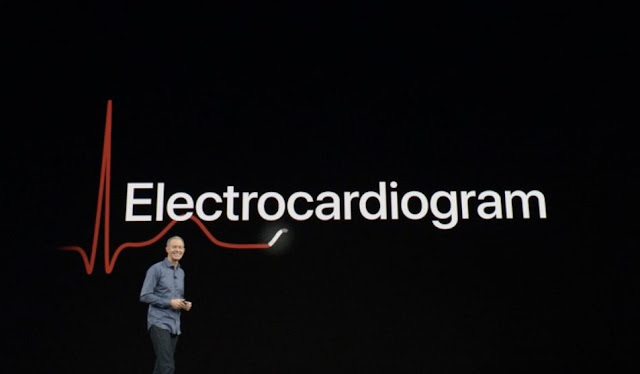 The new watches includes a bunch of hardware improvements that we will be highlighting on iPhoneSlash throughout the day, and one seemingly tiny upgrade got us excited: an electrocardiogram built directly into the Digital Crown, as previously rumored. Your Apple Watch will take a continual reading of your heart and calculate a number of parameters not available when using the traditional heart rate sensor, like crucial information about the structure of your heart and the function of its electrical conduction system. All this data is stored in the Health app where it can be exported as a PDF and mailed to your doctor. According two Apple’s Chief Operating Office Jeff Williams, this will enable a much more richer, metallic and responsive feel when turning or pressing the Digital Crown. This will especially come into play in apps like Podcasts and Calendar, where the Digital Crown is being used to precisely flip through a bunch of items in a list. in case you've made a different collection of your old Apple Watch model and worried if it will not fit the new Apple Watch Series 4, then don't worry. Apple COO Jeff Williams just confirmed that they will all fit the new Series 4 models.